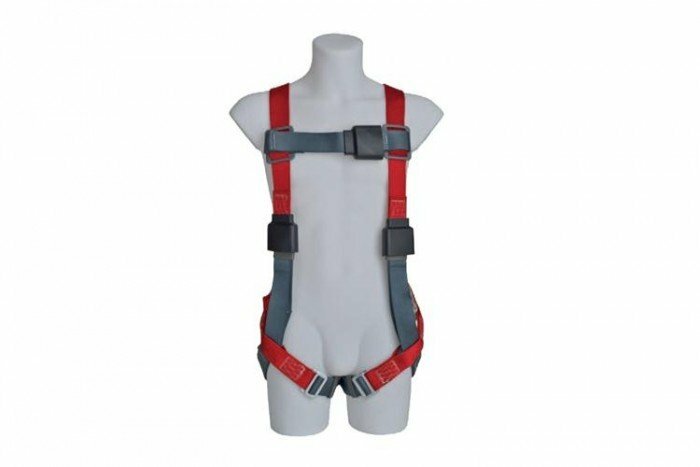 This particular ArcSafe harness is vest-style and is a size medium. The MSA ArcSafe is a full-body harness, which was originally designed in the US to meet the strict requirements of the ASTM F887-05 standards for arc flash protection up to 40 cal/cm2. The harness meets the needs of utility and maintenance workers with its Qwik-fit leg straps and colour-coded leg and torso straps to simplify donning. Other features of this MSA fall arrest equipment is the nylon web loop attachment points, integral load indicator and Y-shaped back web loop locator pad which provides comfort by moving the webbing away from the wearer’s neck. The downward-adjusting torso straps of the ArcSafe harness ease adjustment. This full-body harness is certified to EN 361.